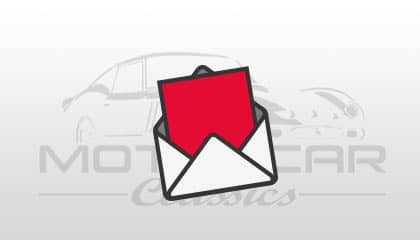 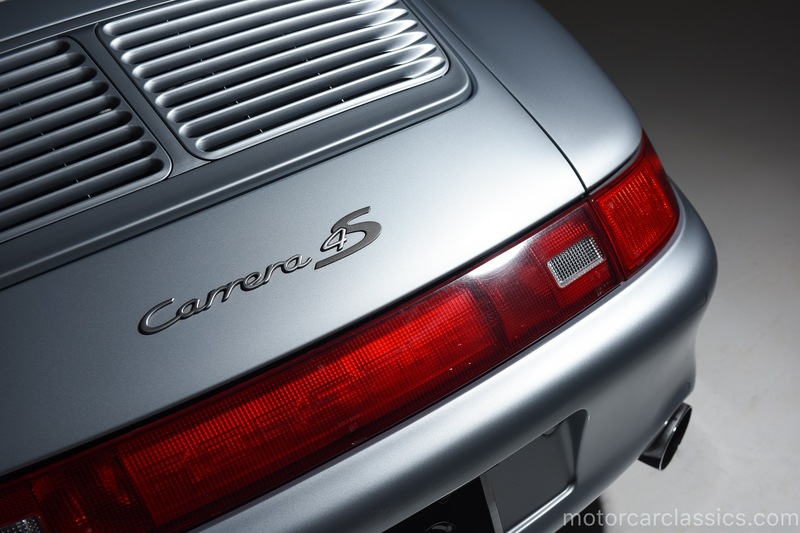 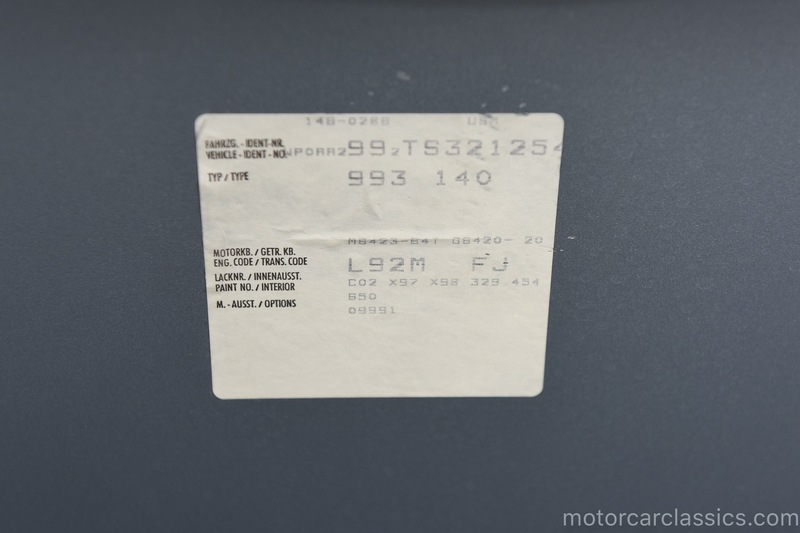 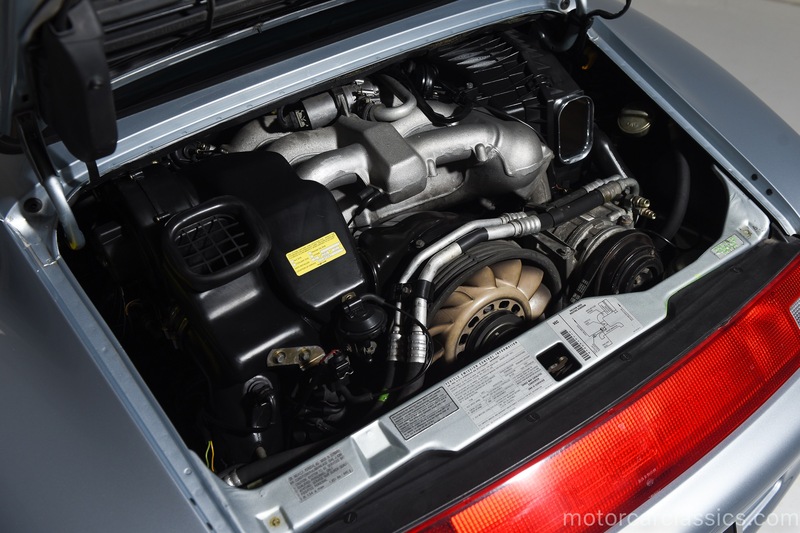 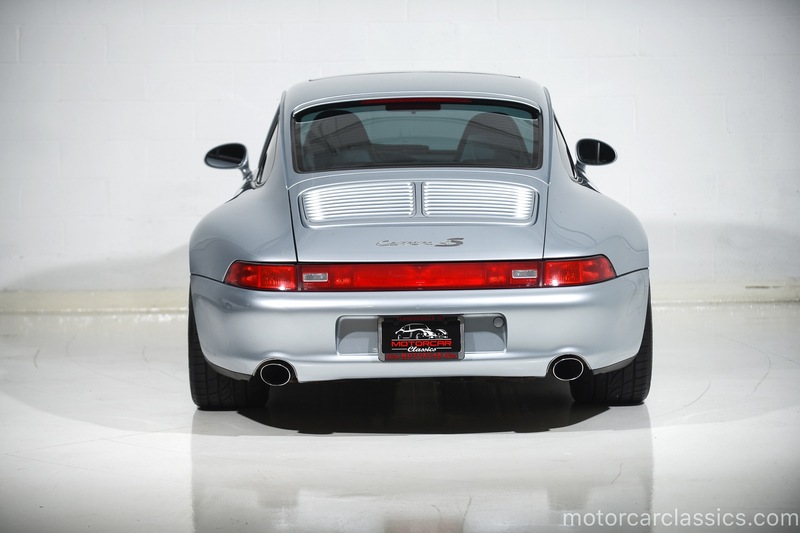 1996 Porsche 911 Carrera 4S for sale. 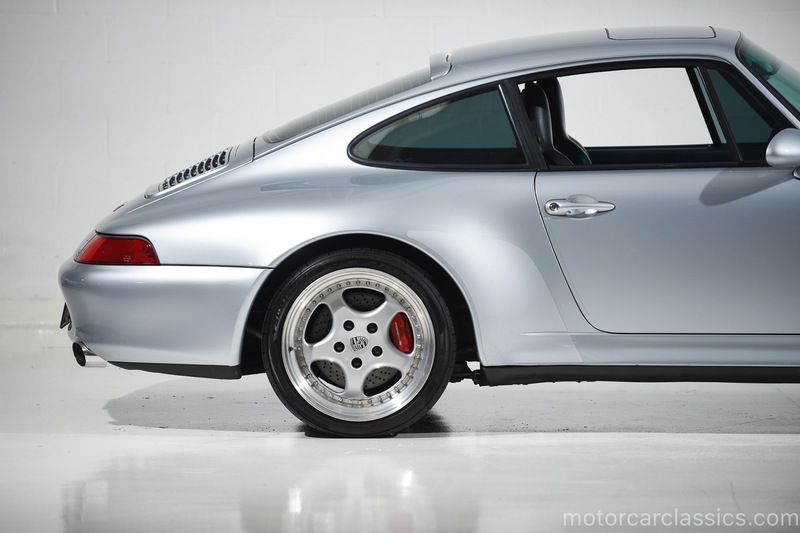 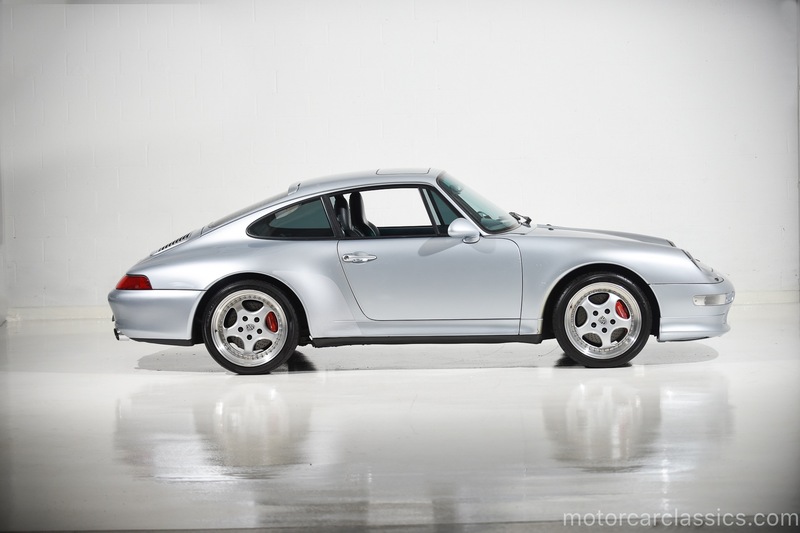 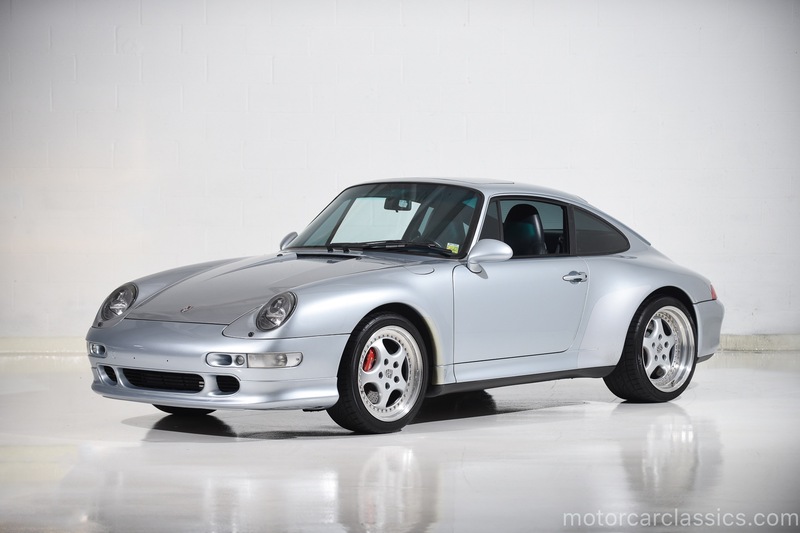 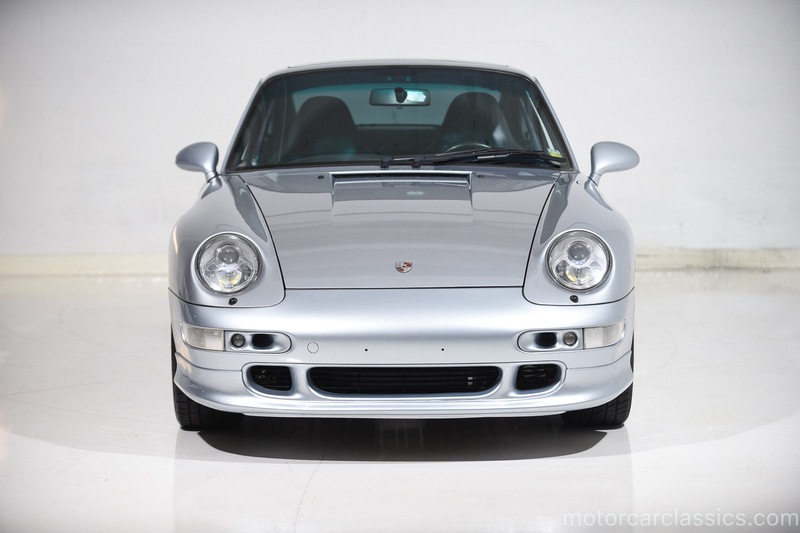 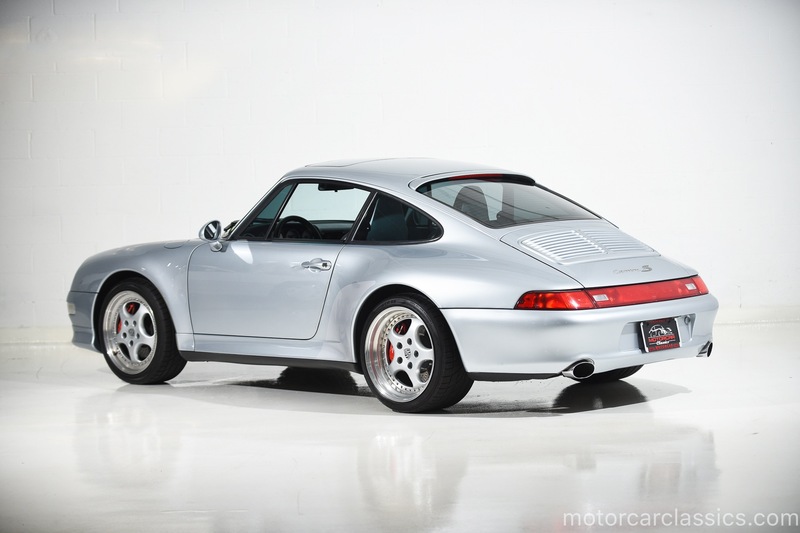 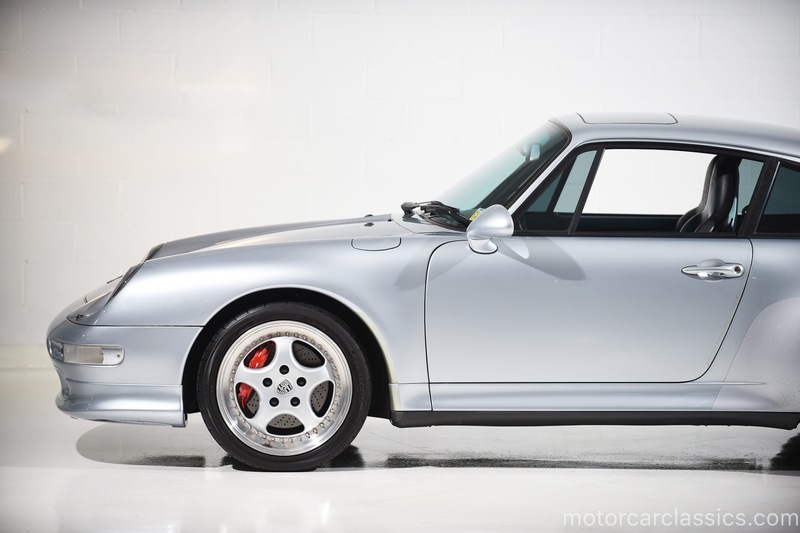 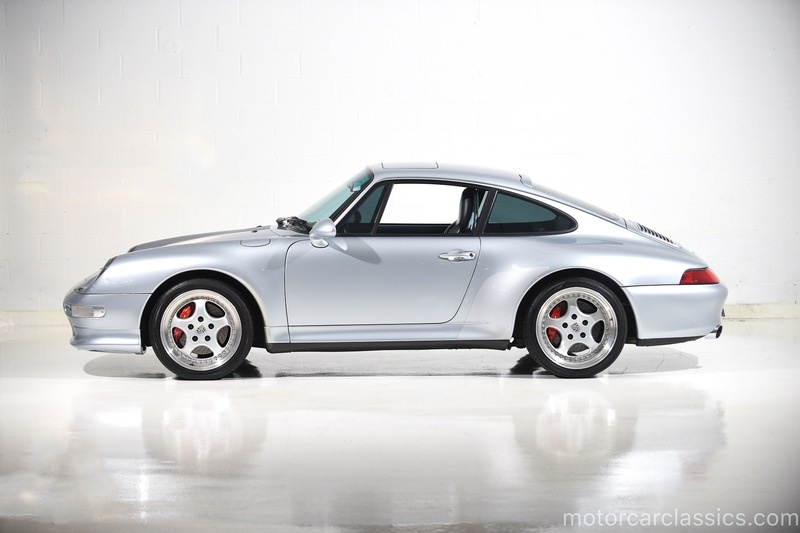 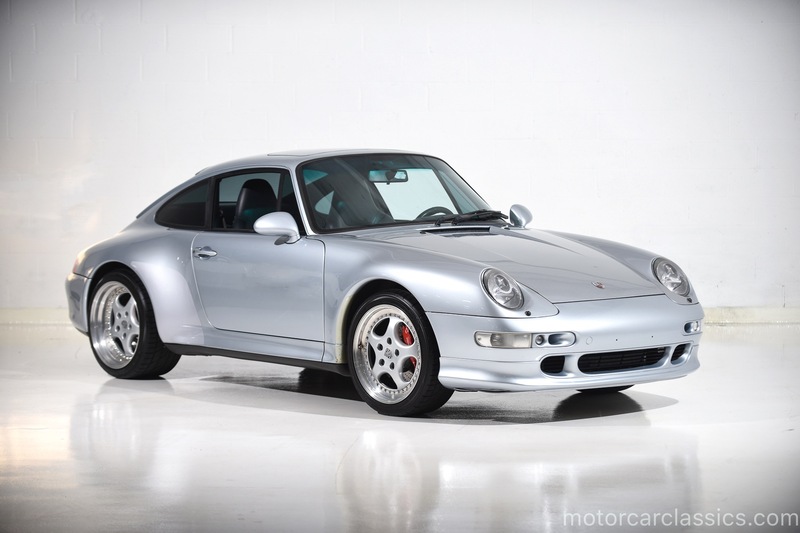 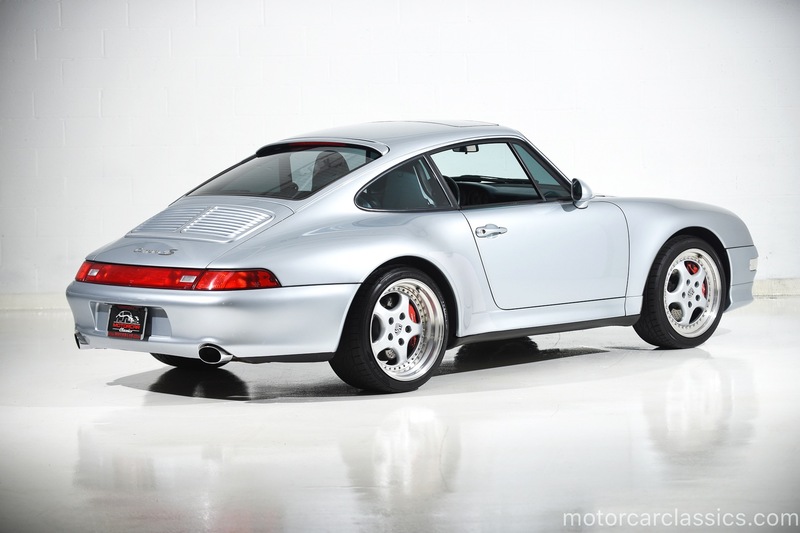 Motorcar Classics is pleased to offer this 1996 Porsche 911 C4S presented in Polar Silver Metallic over Midnight Blue. 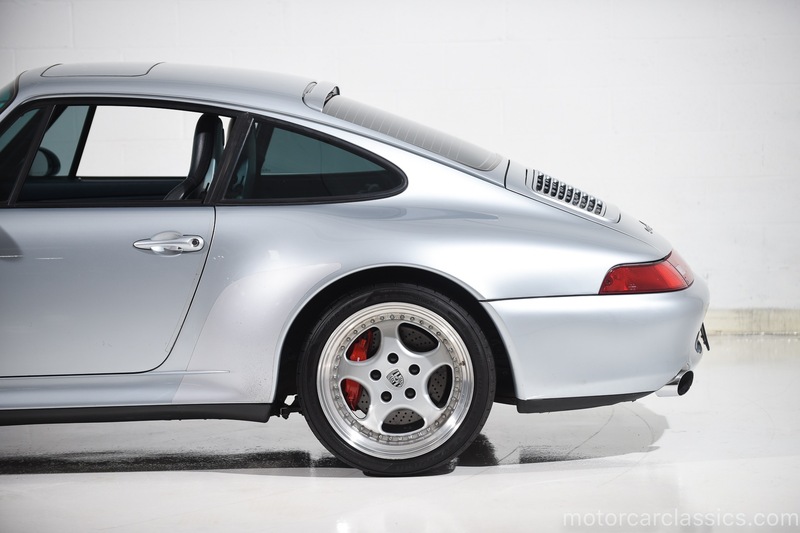 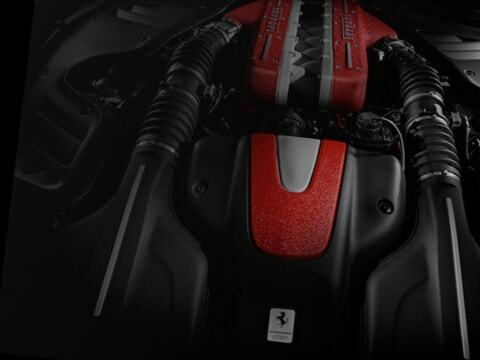 6-Speed manual transmission, 3.6L Flat-six, RH 3.6 Turbo wheels, RS-spec clutch, lightwight flywheel, GT3 pressure plate, RSR mufflers with wide oval tips, Motorsound airbox and Euro turbo bumper covers. 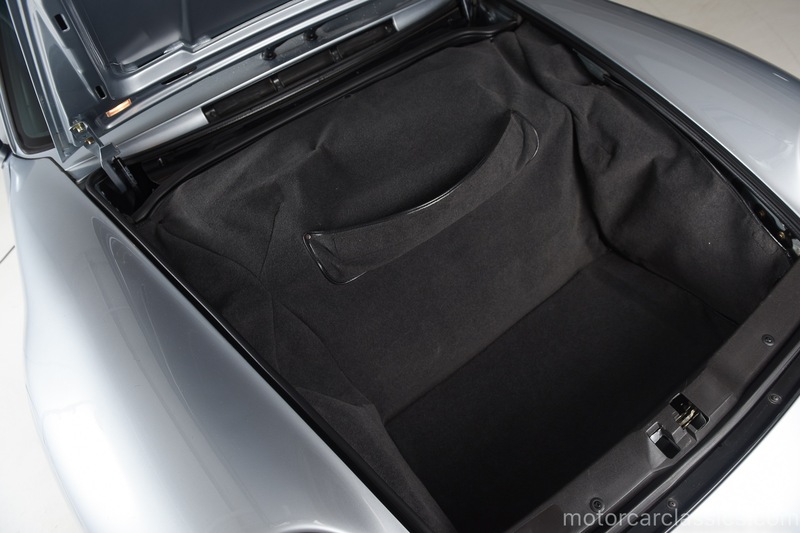 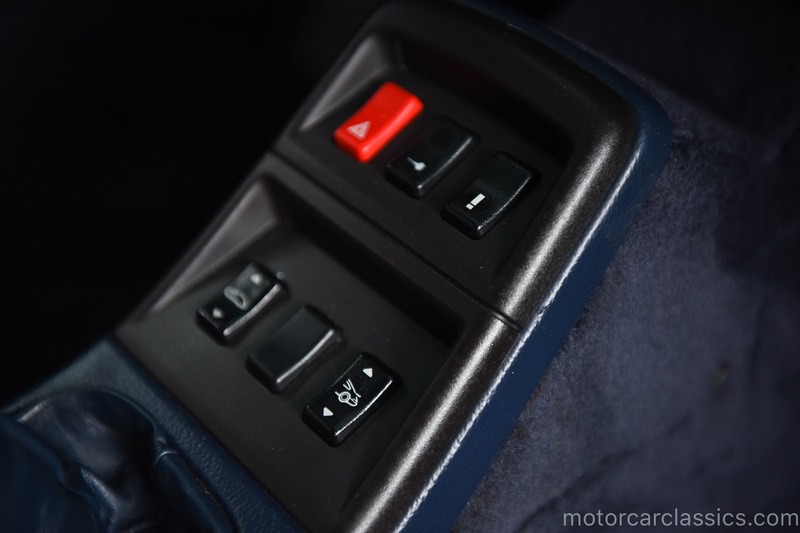 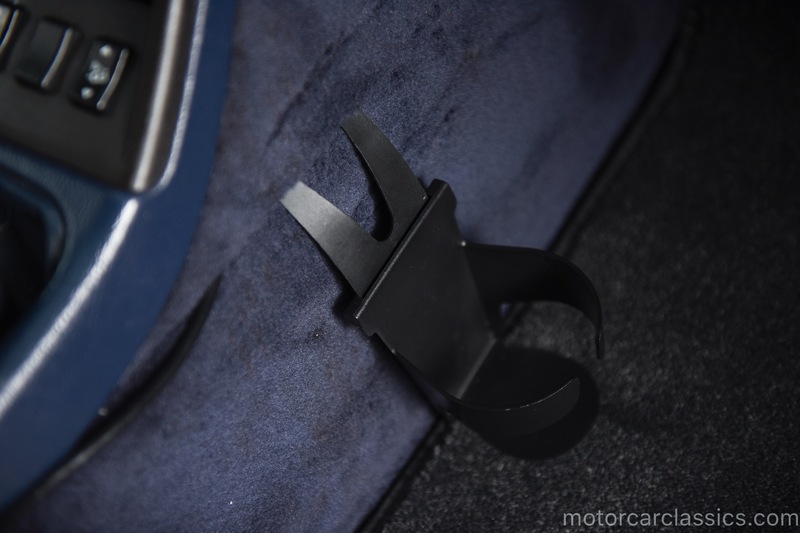 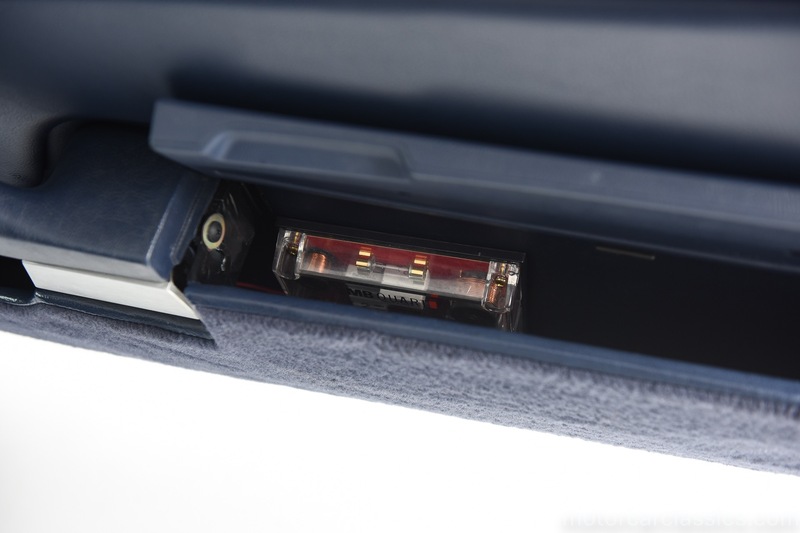 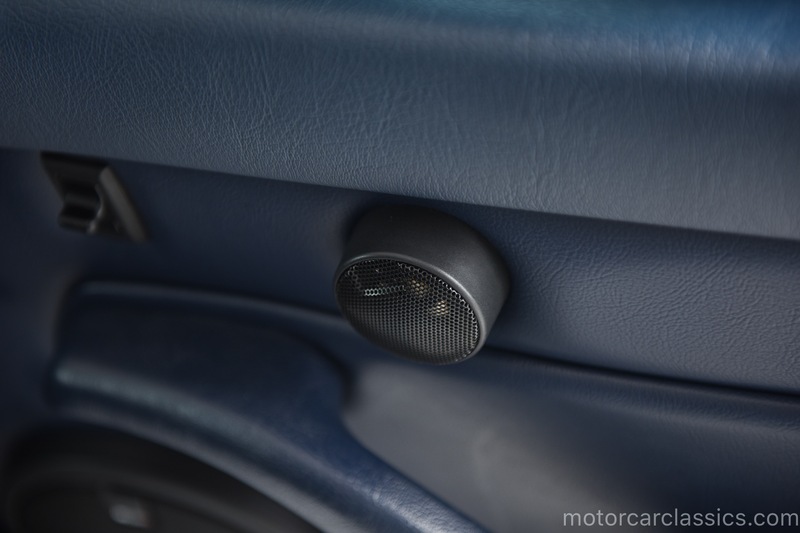 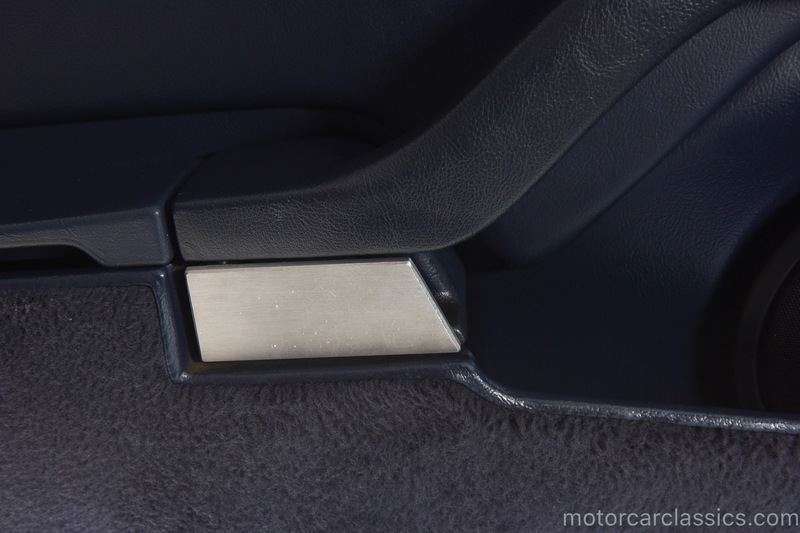 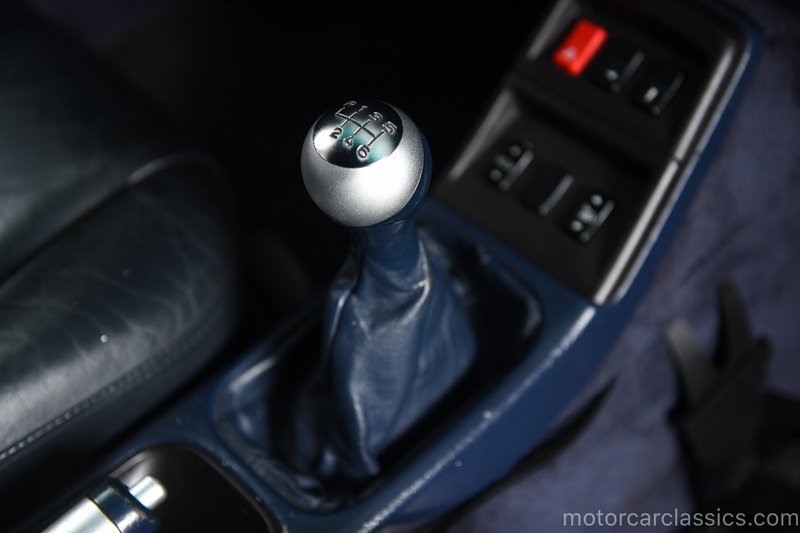 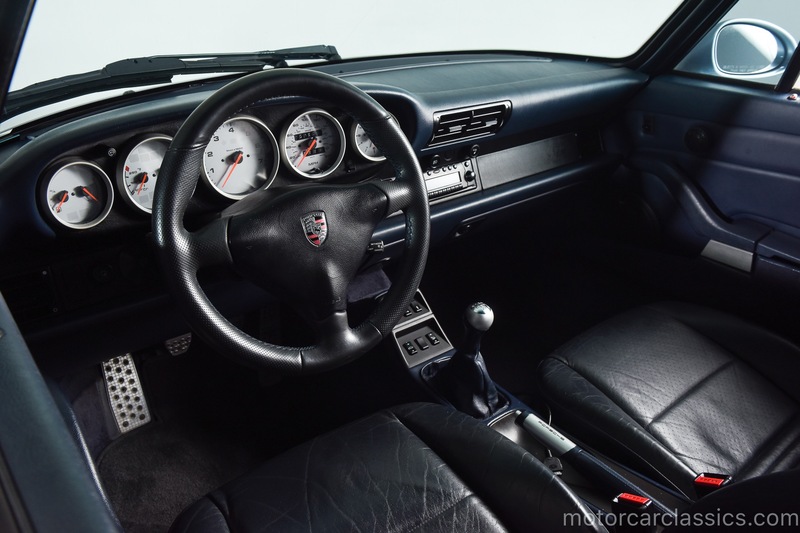 Other options include drilled aluminum pedals, billet shift knob, Porsche CR-220 head unit, MB Quart door speakers and an auxiliary audio input. 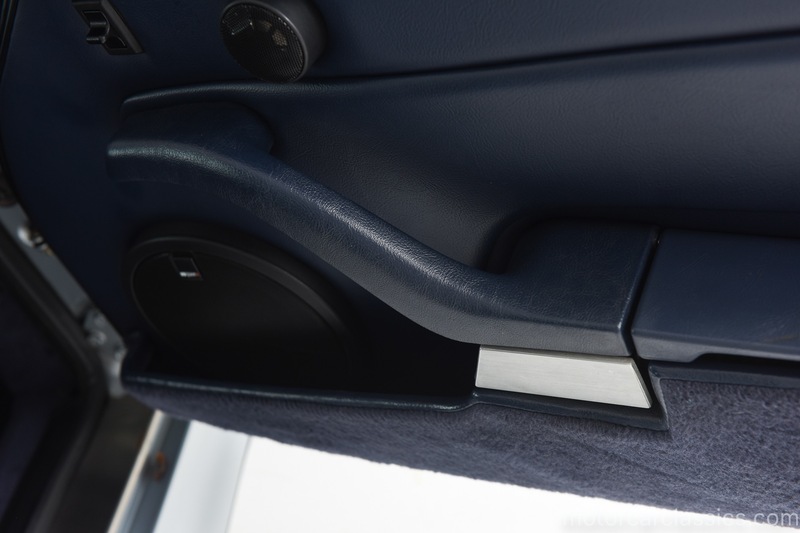 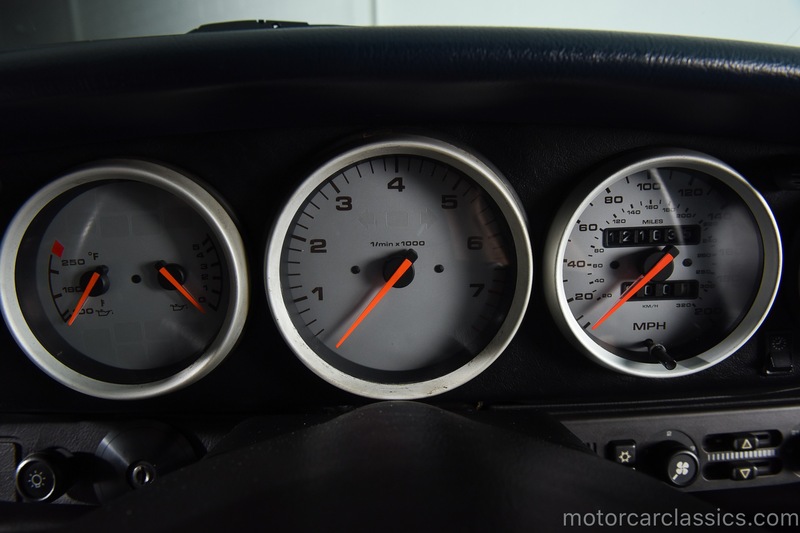 An FD Motorsports Golden Rod Shifter was installed in 2012 and silver gauge faces and aluminum trim rings are from Palo Alto Speedometer. 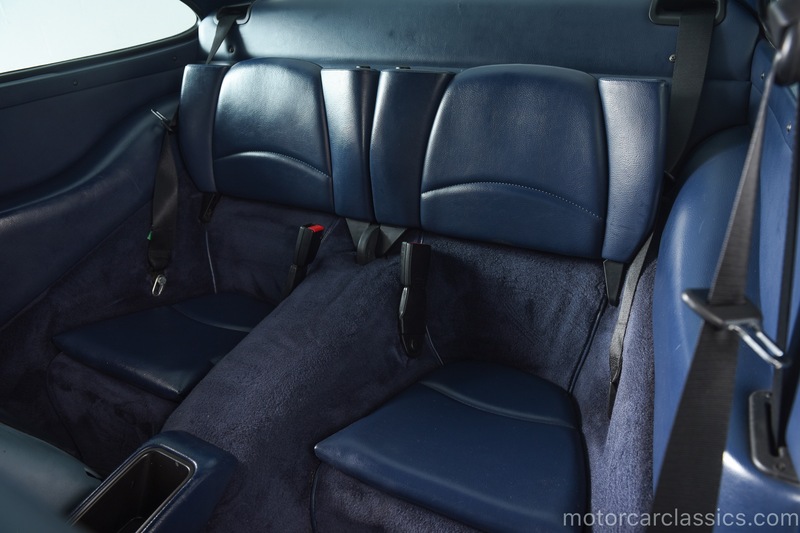 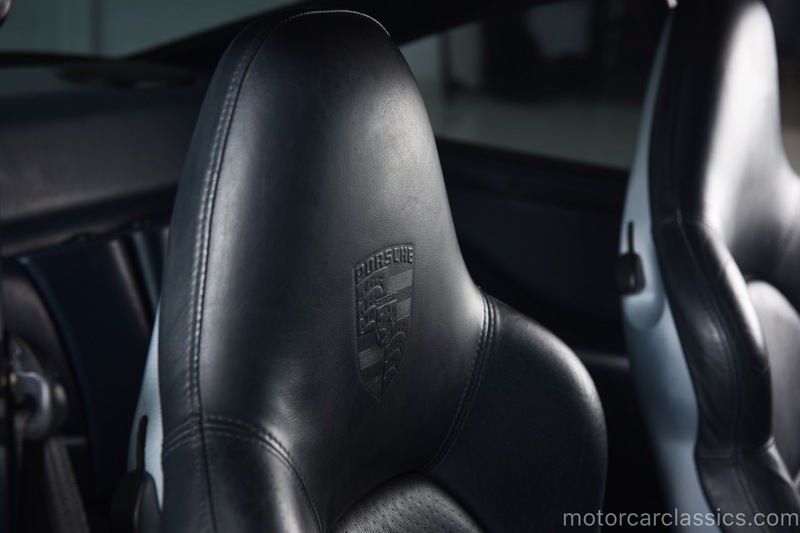 The cabin is trimmed in Midnight Blue, and leather sports seats from a 996 feature power-adjustment and embossed headrests, with the black shells painted polar silver. 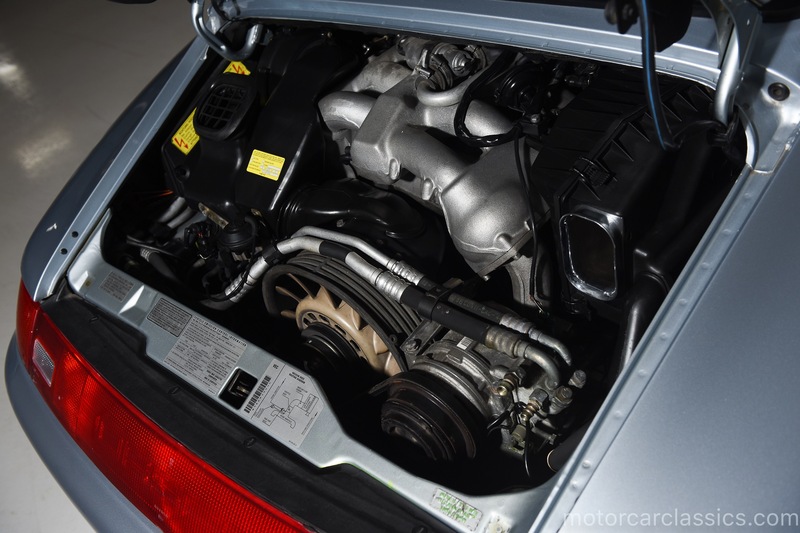 This car was originally purchased in NJ then traveled to CA and CO before returning to the tri-state areas in 2009. 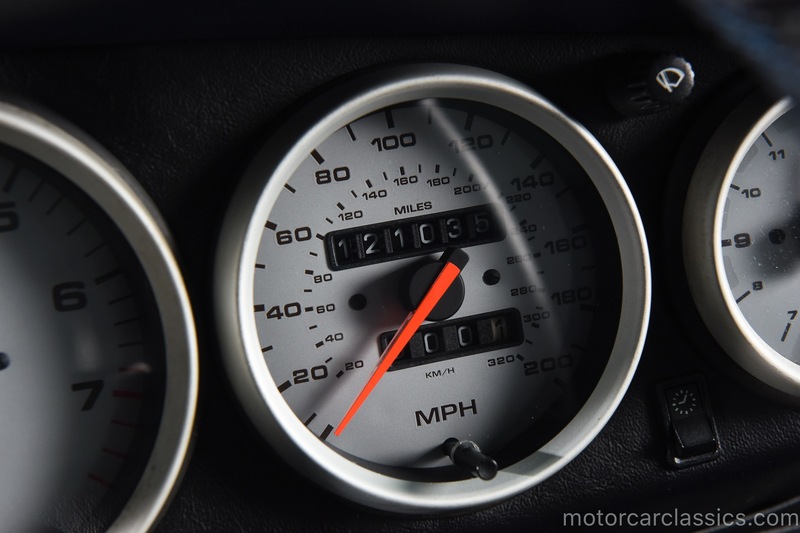 Current odometer reading is 121,035. 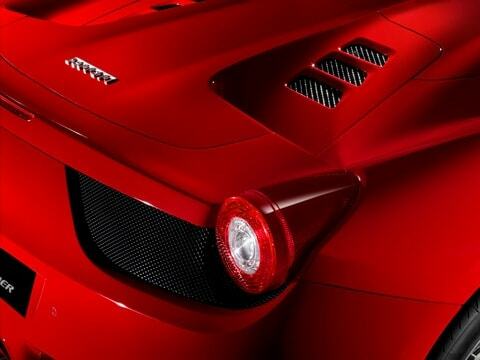 Forward surfaces and rear fender flares are protected with clear film. 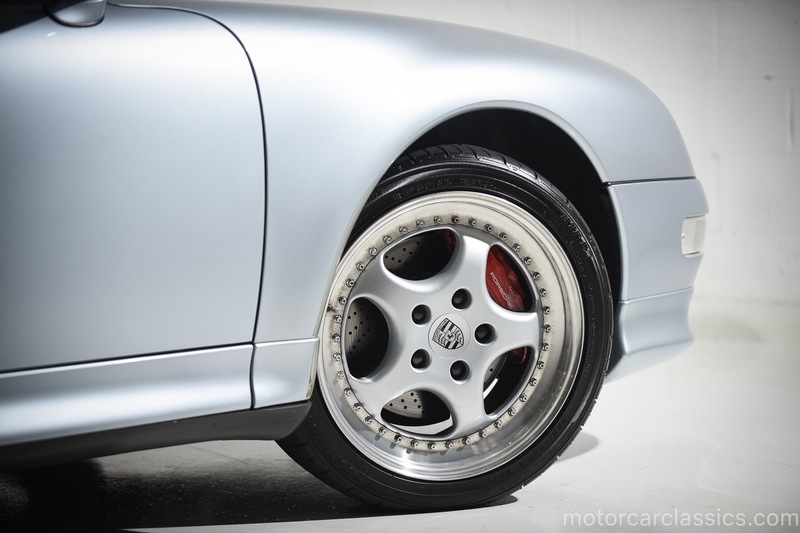 This C4S has Billstein suspension with modified Walrod bushings. 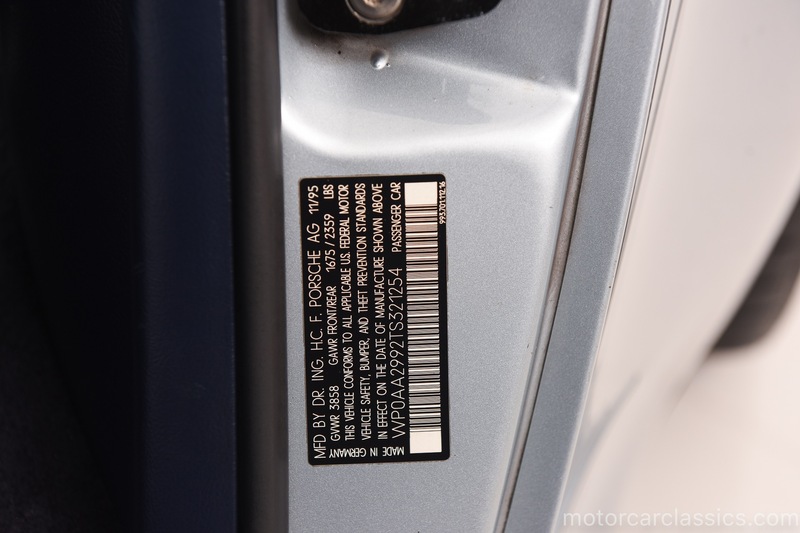 Some minor scuffs and scratches in paint, paint is all original. 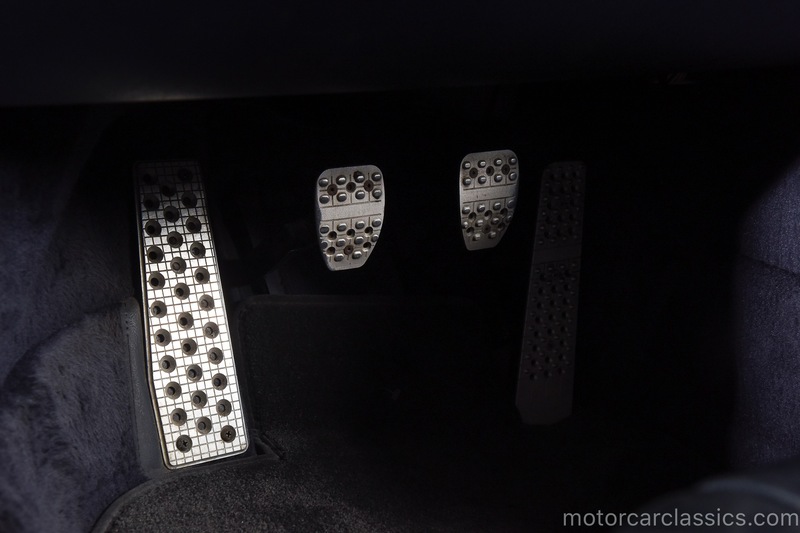 2 sets of keys. 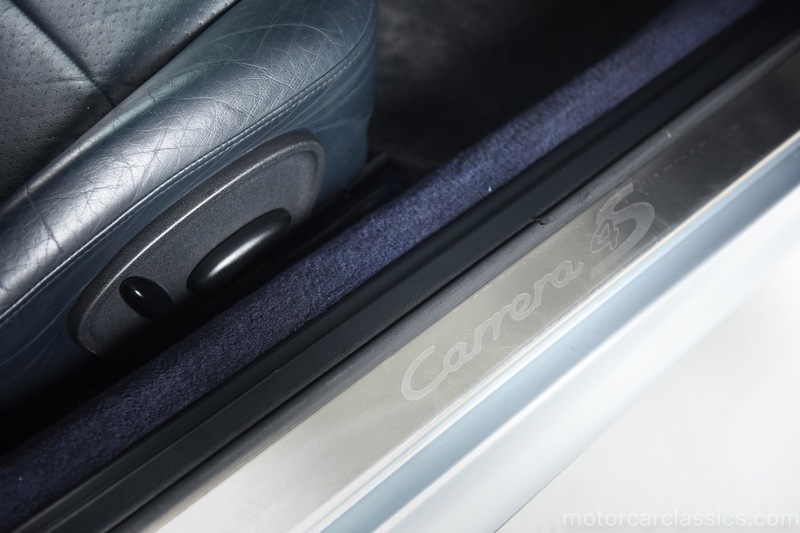 Carfax is clean and car has never been hit. 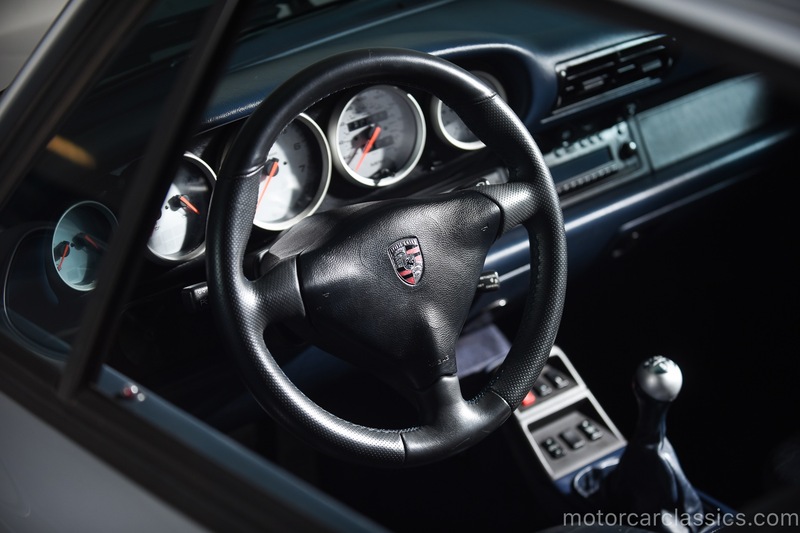 A documented service history can be found in image gallery. 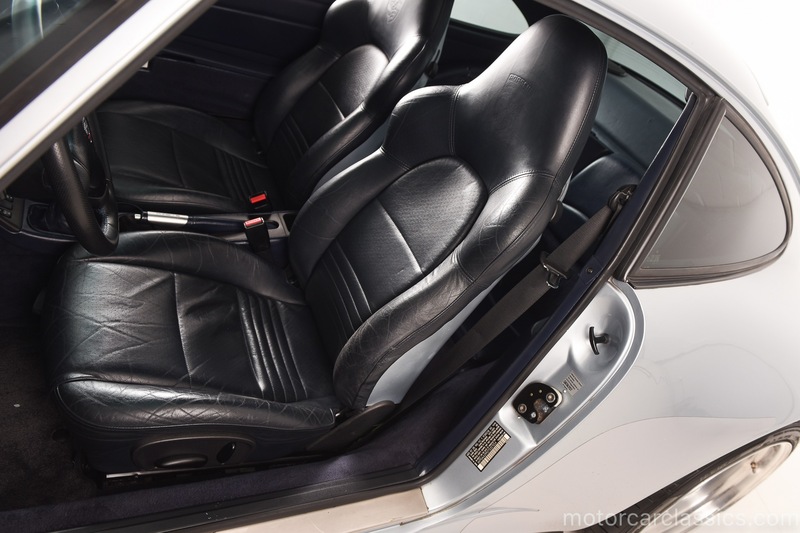 It has been well maintained throughout his life and is ready to go another 100k miles! 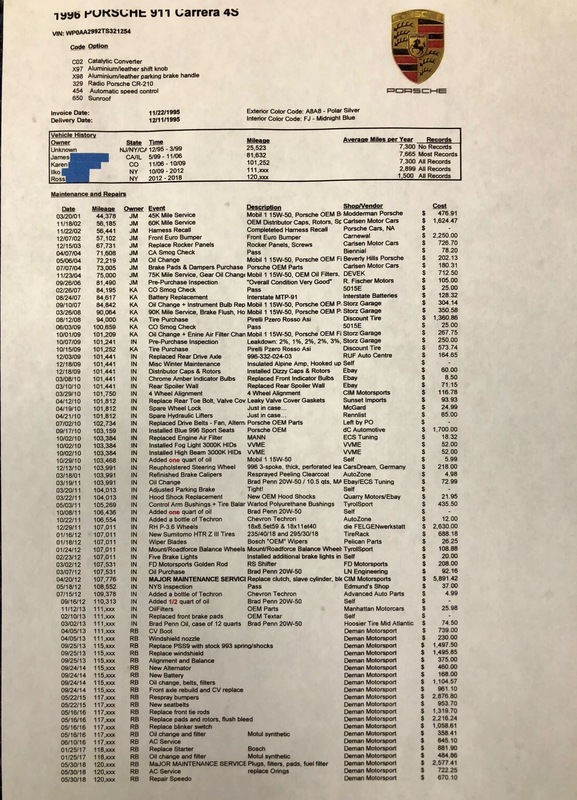 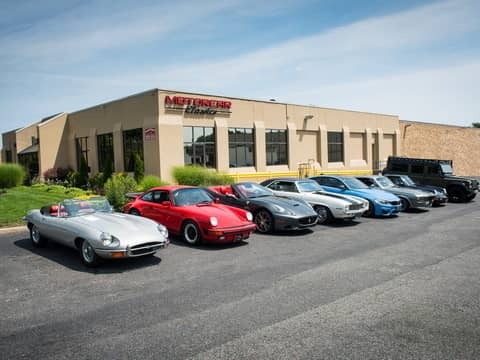 Recent servicing included replacement of driveline fluids, oil and fuel filters, new spark plugs, new brake pads, and a A/C service with new O-rings. 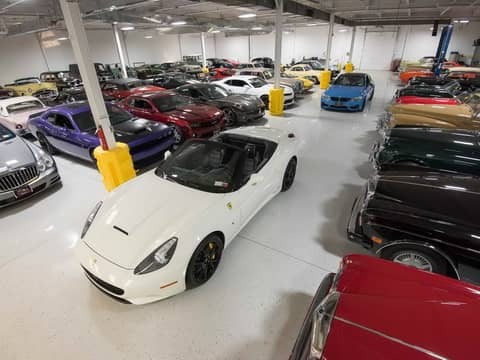 Work was performed by independent specialist Deman Motorsports in Blauvelt, NY.